Organize your photo collection into a catalog! Digital cameras gained huge popularity in the recent decade. With digital pictures, you don't need to develop films and make prints, and you don't need paper photo albums to store them. By going digital, it became easily possible to take hundreds and even thousands of snapshots. You can easily store thousands of digital pictures on an average hard disk. But with all these pictures stored in the My Pictures folder on your computer, how are you going to find a particular picture or pictures of a particular event to show to your family or guests? The latest versions of Windows show you thumbnail previews of your digital pictures, and of course there is third party software that can do the same, but these previews help very little to locate snapshots of your last birthday party among the thousands of other photographs. 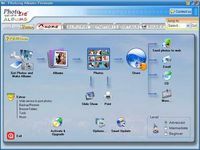 Stop wandering through endless digital pictures, and organize your collection for fast, intuitive browsing completely automatically with just a few mouse clicks! Automatic Photo Sorter creates chronological folders and places your pictures there completely unattended, with no human interaction. Simply select the folder with your original photo collection, and specify a new folder where a new, organized collection will be created when you hit Sort. There is no chance of something going wrong, as Automatic Photo Sorter never messes with your original collection but merely creates a new, sorted one. One might wonder how exactly Automatic Photo Sorter knows when a particular picture was taken? Each snapshot coming from a digital camera contains extra information that specifies the time and data a photo was taken. This is called EXIF. But what if you have an old camera that does not support EXIF, or what if your digital pictures were processed with a graphic editor? No problem! 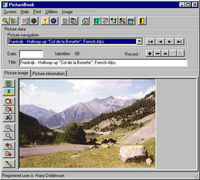 Automatic Photo Sorter can put a picture in a proper folder by obtaining the date from the file properties.